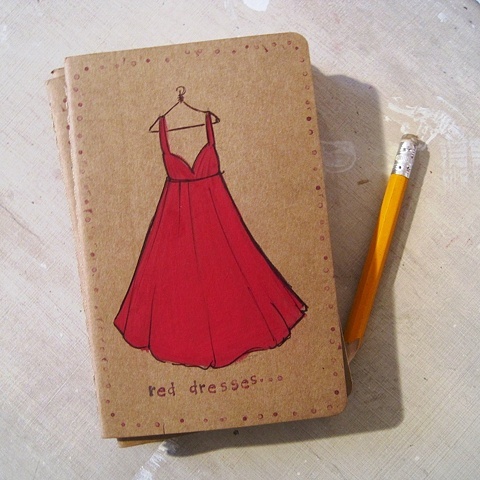 Red Dresses.. for your addresses... and your top secret private plans, ambitions, dreams and shopping lists. The dress is hand illustrated, and the words hand stamped. It's all hands around here. hands, and of course Shoes. These little notebooks make great gifts, and I am always really happy to make them personal just for you or your Secret Santa.